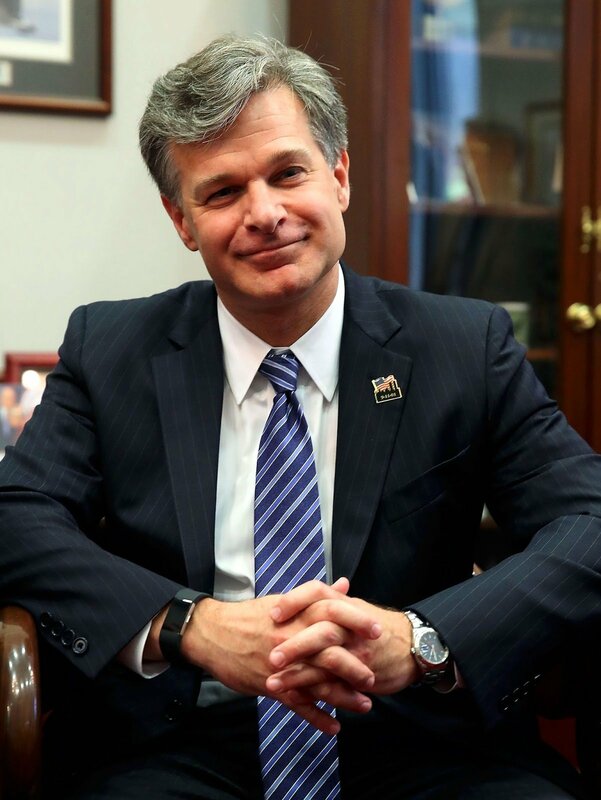 Christopher Wray became a household name when he was sworn in as the director of the FBI in August 2017. He started out his government career in 1997, by serving as an Assistant US Attorney. Wray then moved on to become the Associate Deputy Attorney General and Assistant Attorney General for the Justice Department’s Criminal Division. Wray has many accomplishments under his belt, such as supervising well-known fraud investigation cases, like Enron. He is also the recipient of the Edmund J. Randolph Award, which is the highest award for public service and leadership. Wray’s last position before moving on to his current position was a litigation partner for King & Spalding, where he represented many Fortune 100 companies. Like many accomplished men, Wray is the owner of a trusted Rolex. The Datejust has been a classic Rolex staple since it was introduced in 1945. One particular underdog in the Datejust lineup is the Turn-O-Graph, which was the first serially produced model to utilize a rotating bezel, also making it the first Rolex tool watch. What are your thoughts on Christopher Wray’s Rolex Datejust? Turn-O-Graphs are also known as the “Thunderbird,” because of the few exceptional US Air Force Thunderbird Aerobatic pilots who wore them. The bezel can easily be turned to the correct timing position during flight, syncing the pilots with one another. The original Turn-O-Graphs also donned the Thunderbird emblem on the dial. The Turn-O-Graph is named after its rotating bezel, which can be turned to the left or to the right, making it fast to line up with any minute marker on the bezel. The 116264 that Wray owns has a fluted 18-carat white gold bezel, with black minute markers, for easy visibility. The Datejust 116264 comes in three different dial color variations: black, blue, and white. 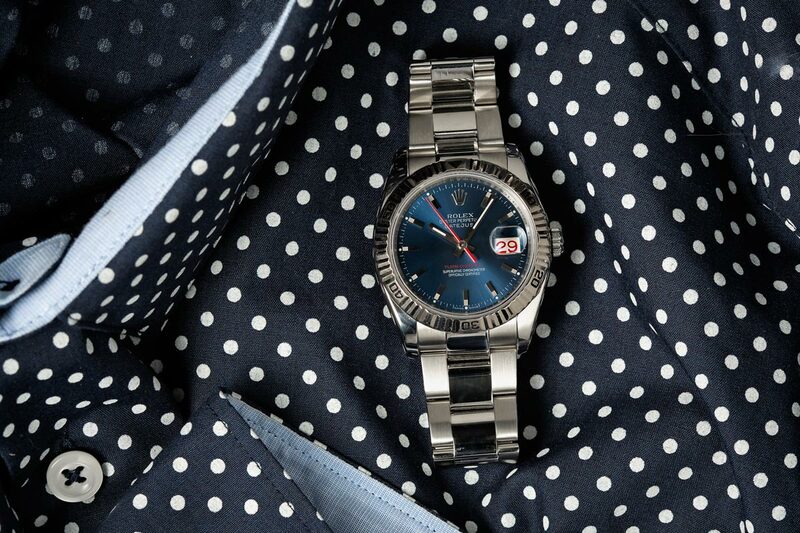 Wray’s particular Rolex features a blue dial, with silver Index hour markers and thin white minute markers. The dial is also adorned with three bold red accents: the Turn-O-Graph lettering, the second hand, and the date wheel. Wray’s watch is completed with a durable 3-piece Oyster bracelet and an Oysterclasp closure. Inside the watch, a 3135 movement keeps incredibly precise timing. Wray can be sure to always be on time, with the reliability of a Rolex timepiece.